If-then statements in computer programming are magic. 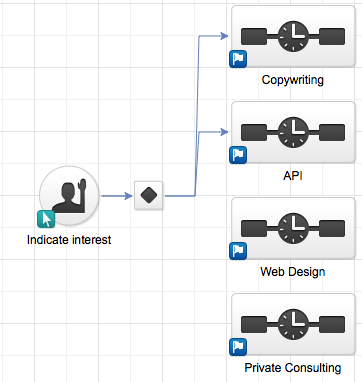 It's like artificial intelligence for your inbound marketing and sales automation. Your computer can actually look at what your visitors, prospects, and customers are doing and apply the logic you gave it to perform another task or function based on the answer it sees. This is what the Infusionsoft Decision Point Routing function does with easy-to-use drag and drop icons inside the Infusionsoft Campaign Builder. 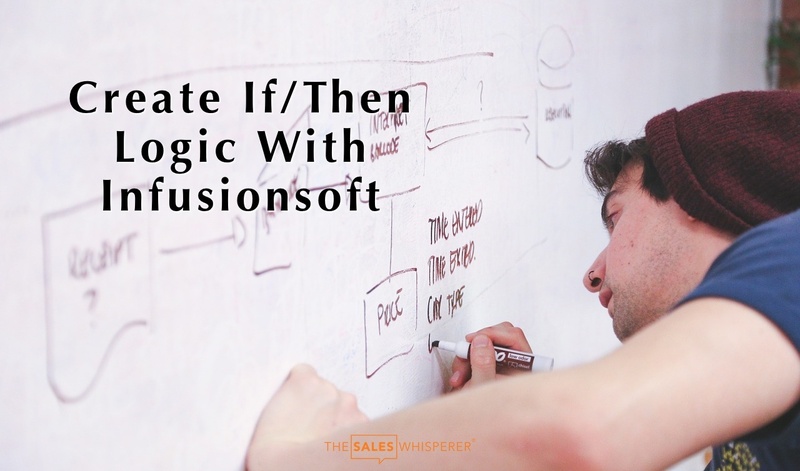 However, at first glance it is not obvious how to create the Infusionsoft Decision Diamond so I created this pictorial guide to help you make magic. But, Wes, why so many steps? Why is Infusionsoft so hard to use?" This process will segment and automate the correspondence and follow-up communications you have with your prospects and clients 24 hours a day, 7 days a week, 365 days a year, will never have boyfriend/girlfriend/spouse "issues," will do it on time, every time, nationwide, globally and will document the fact it has done it immediately. Try getting a know-it-all tech geek or $25 Infusionsoft Consultant From eLance to be THAT DARN EFFICIENT, ACCURATE, AND RESPONSIVE! 2. Connect the Infusionsoft goal to the first sequence. Infusionsoft Decision Point Rules - Connect first sequence. 3. 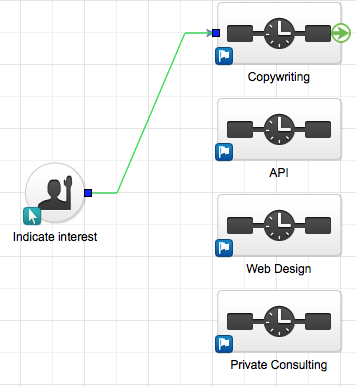 Connect the Infusionsoft goal to multiple sequences and BAM!, the decision point (decision diamond) appears. Connect second sequence to see Decision Diamond appear. 4. Connect all applicable Infusionsoft sequences. Infusionsoft Decision Diamond Rules - Connect all sequences. 5. Click on the actual Infusionsoft decision diamond to edit its rules. 6. Start editing the fields sequentially. Infusionsoft Decision Diamond Rules If-Then Step 1. 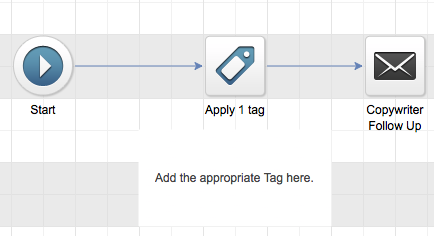 Infusionsoft Decision Diamond Rules If-Then Set Tags Step 2. 8. Continue editing each field. Infusionsoft Decision Diamond Rules If-Then Set Tags Step 3. 9. 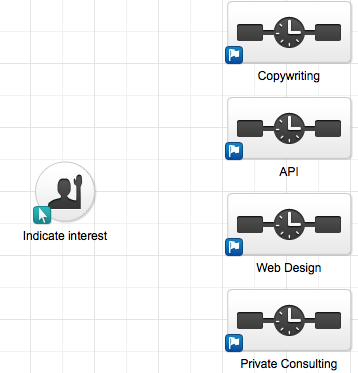 Here I've selected the Infusionsoft Tags I'm looking for. Infusionsoft Decision Diamond Rules If-Then Set Tags Step 4. 10.a. Add additional mandatory criteria—"+" means "AND"—or alternative criteria—"..." means "OR." 10.b. Here is what the criteria look like when you select "+." 10.c. You'll see these additional icons when you add criteria options. 11. Double-click the Infusionsoft sequence. Infusionsoft Decision Diamond Rules add email to follow-up sequence. 12. 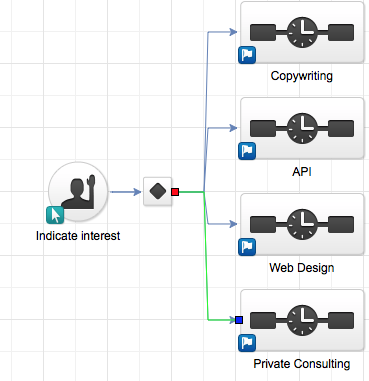 Apply the Infusionsoft Process—Tag, Note, Task, etc.— and/or Communications. Infusionsoft Decision Diamond Rules add correct Tags to follow-up sequence. 13. Kick up your heels and enjoy your time freedom after creating your Infusionsoft Decision Diamond Routing. 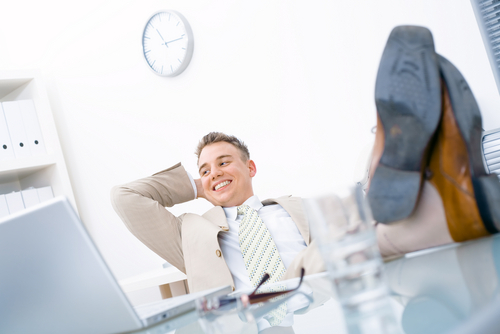 Kick your feet up as a happy Infusionsoft decision point rules creator. If you still have questions about ordering Infusionsoft for your business and would like to see Infusionsoft in action check this out. If you're ready to get started with Infusionsoft and you want to secure thousands in bonuses and savings by ordering through me please contact me now and I'll help you buy Infusionsoft today. If you already have your own Infusionsoft application and need to get more out of it just pick the block of time for my Infusionsoft Services that fits your budget at my Infusionsoft CRM Support page and get ready to get more leads, convert more sales and make more money...while you sleep. Or just contact me and we'll set a time to speak.